Notice: The products and information found on lorriehargis.com are not intended to replace professional medical advice or treatment. Our information is not intended to diagnose, treat, cure or prevent any disease or medical condition. Results of testimonials are not typical and individual results may vary. 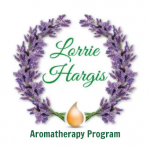 Lorrie Hargis and lorriehargis.com urge you to seek the advice of a qualified professional for the purchase or use of any nutritional supplement or aid available on this website. In addition, contact your qualified healthcare professional for any health concern lasting more than two weeks, and to share with your provider any information pertaining to your health and well-being, including the consumption of fresh juices, supplements and teas.